When hunters come to Meadow Brook Game Farm, they find a 1200-acre shooting preserve that has been in operation in Tennessee since the 1950s. 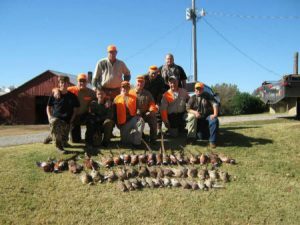 Located about an hour north of Nashville, in Westmoreland, TN, Meadow Brook Game Farm is especially well-known for hunters looking to bag chukar, quail and pheasant. If you’re thinking of going on a pheasant hunt, what do you need to know? What do you need to bring with you? First, you should read and familiarize yourself with local rules and regulations.  What are the allowable hunting hours? Are there bag limits? Do you need a license to hunt where/what you want to hunt? Next, it’s a good idea to have a map of the area you plan to hunt, and study it beforehand. Besides maps, look for “plat books.” If you can contact a landowner/hunting preserve before you actually start your hunt, ask them about the land, as they’re likely a great source of information on where to go– and where not to go. As a hunter, you’ll need to carry a shotgun with you. Pheasant hunters typically use a 12-gauge, but 16 and 20 gauges are also popular. Before a hunt, do your best to practice with the gun you plan to use. Talk with gun owners to see what their advice is… do they recommend a “lightweight over-under” or a “pump” gun? Related to the gun you will use are shells– the things that actually kill the birds. For most pheasant hunters, using high brass shells loaded with 4 or 5 shot is the norm. You can choose to use lead shot or non-toxics. If you’re hunting on federal land (and many state properties), check to see if non-toxic shots are the law– they almost always are what’s required these days. As for what to wear, be sure to have something orange on, above the waist. This is so other hunters will know you’re a hunter and, hopefully, not shoot you. This could be a blaze orange sweatshirt, vest and/or cap. For pants, you’ll want something rugged that’ll protect your legs from prickers, burrs and thorns. Wear rawhide chaps or heavyweight jeans. If you want, wear leather shooting gloves on your hands. Oh, and on your feet? You’ll want to have above-the-ankle, waterproof boots since you’ll probably end up wading through wet marshland. Smart hunters wear both ear and eye protection. Guns are loud, so foam earplugs are important to wear in your ears. Strong sunglasses can prevent your eyes from getting scratched and/or getting gunpowder in them. Finally, you’ll want to bring some water and snacks with you for your hunt. With all the walking you’ll do, you’ll use up a lot of energy and want to have a drink and some food on you to tide you over ‘til you get back to home base. ← What Gear Should You Have for Pheasant Hunting?